SNP MSP for the Angus South constituency, Graeme Dey, has called on political opponents to back the Scottish Government’s draft budget proposals that will take the local government finance settlement to £11.1 Billion for 2019/20. Under the Finance Secretary’s plans, Angus Council will receive £226.7M total support from the Scottish Government- an extra £10.5M on last year’s settlement. 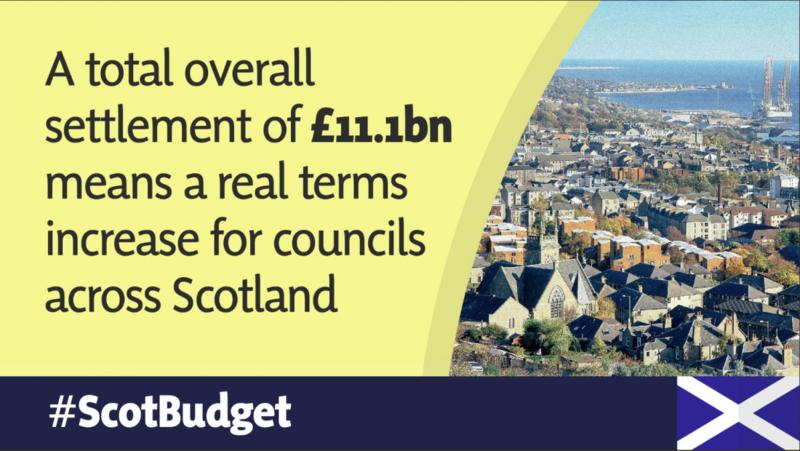 In addition to the local government finance settlement, the Scottish Government have also committed to providing local authorities with funding streams for shared national and local government priorities, such as City Region and Growth Deal investment – totalling £449 Million for 2019/20. The £200million committed to the Tay Cities Deal by the Scottish Government has the potential to deliver a significant boost to Angus South’s economy. Increased flexibility for local authorities will also allow councils to increase council tax levels by up to 3% for 2019/20 – worth an estimated £80 million. The move could see Angus Council receive a further £1.6M in revenue to spend on local services. MSPs will vote on the proposals next month. “I welcome the Finance Secretary’s draft budget proposals that would deliver a core local government settlement of £11.1 Billion – with Angus Council set to receive a £10.5M cash boost. “It is hugely important that we secure this investment, which will go a long way to supporting the expansion of early learning and childcare provision to 1,140 hours by 2020, and extending free personal care for under 65s.